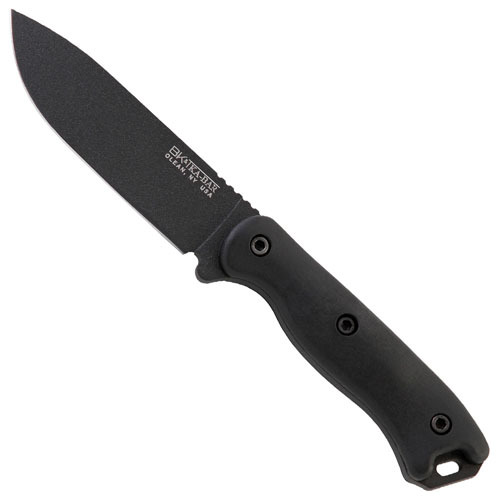 Ka- bar Becker BK16 Short Clip Point has 4.375" blade and 9.5" overall length. This is black coated knife made from 1095 Cro-Van stainless steel. It has drop point full flat ground blade with a thumb ridge that is hardened to 56-58 HRC. It also features a full extended tang with a lanyard slot and black zytel handles. 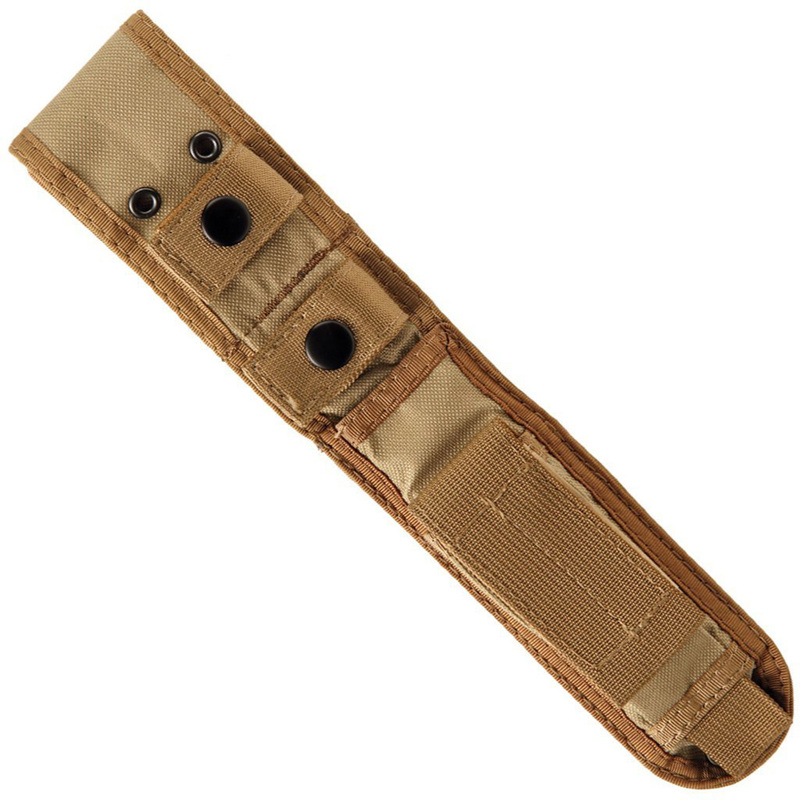 It comes with an extra set of coyote tan handles. Every knife comes with an extra set of green handle scales, and also includes coyote tan combat sheath.